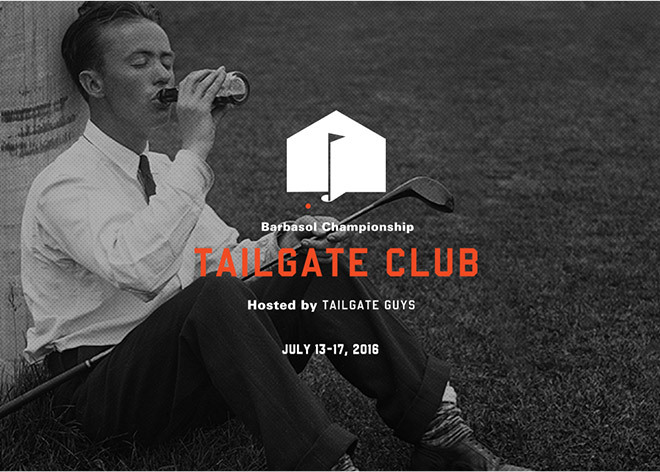 Through a partnership with Tailgate Guys, the leader of the tailgate management industry, The Barbasol Championship is excited to announce the launch of the TAILGATE CLUB to enhance the golf championship experience at the 2016 Barbasol Championship at Grand National, a Robert Trent Jones Golf Course in Opelika, AL. Tailgate Guys will host CINCO ON 17 on May 5th from 5:00-7:00pm on the 17th hole to officially unveil the 2016 Tailgate Club at the Barbasol Championship. Guests have been invited to celebrate the unveiling, enjoy Mexican food provide by the Auburn University Hotel and Conference Center, enjoy beer from Back Forty and festive drinks from B&B Bartending. Tailgate Guys, founded in 2009, can be found operating premium tailgates on campuses and in bowl games around the southeast. Current partners include: Auburn University, Texas A&M University, The University of Florida, Georgia Tech, The University of Texas, The Cotton Bowl and the Peach Bowl. Tailgate Guys has been providing guests with a first-class, turnkey tailgate experience for eight years, and are excited to offer the same opportunity and experience to guests of the Barbasol Championship at Grand National. All tailgating equipment, which includes tents, tables, chairs and even full television packages, will be set up in advance near the 17th hole, just steps from the green. Catering and beverages will be included in the tailgate packages and will be served in the main TAILGATE CLUB tent. On Monday, May 9th a priority reservation period will open to guests of the Cinco on 17 unveiling event on the 17th hole at Grand National. The priority reservation period will close on May 16th and any remaining packages will be made available to the public. Reservations are expected to fill quickly as this unique experience is limited to only 23 tailgates.